It’s easy! Really. Thanksgiving is one week from today. There is enough time to get everything done. How? By using some simple organizing skills like planning and making lists, you’ll know what needs to be done and when. A lot of the work can be done in advance. Thanksgiving is a traditional holiday. Even though that makes menu planning pretty easy, there’s still a lot to do. Here are some tips. What do you want to serve for dinner? Make a list. What do you need to buy? Make a list. What needs to be done before guests arrive? You guessed it. Don’t try to remember everything or wait until the last minute. That doesn’t work. Be realistic about how much time you really have and plan accordingly. Here is a sample timeline and checklist. Adjust as necessary. Do as much as possible in advance to limit preparations while guests are there. Create a timetable by working backward from the time you’ll serve dinner. The following example is based on a 16-pound, unstuffed turkey. Relax. You’ve already done most of the work! 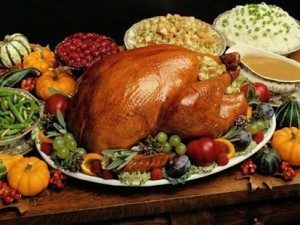 Follow your lists and you’ll have an organized, drama-free Thanksgiving (personal issues aside!). These containers are mostly what I use for food storage. Lids snap together and to the bottom of the containers they fit. The containers nest so they occupy less cabinet space. I like that you can see what’s in them. These containers come in different size sets. Use them to store your Thanksgiving leftovers! 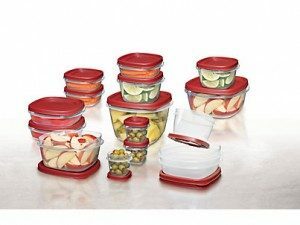 This 34-piece set is available at Target for $19.99. For more information or to order, click here.